To listen to the show, click here, or listen through your favorite podcast site, including Spotify, iTunes, IHeartRadio or Google Play. Gary’s review of the film is below. I was always one step removed from the rock band “Queen.” I knew their hits but never purchased their albums. I knew about Freddie Mercury but never celebrated him in the same musical lane as Mick Jagger, John Lennon, or even Jim Morrison. I was wrong. 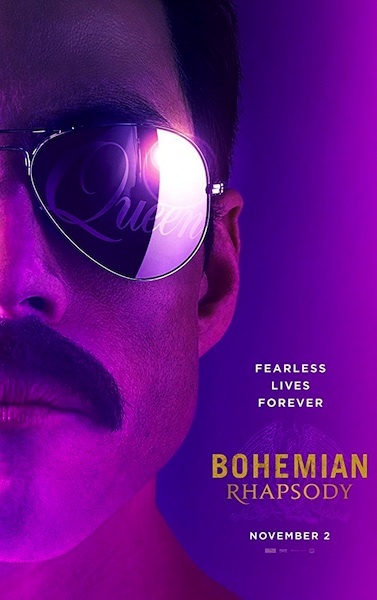 “Bohemian Rhapsody” is a pulse pounding tribute to both the band and it’s enigmatic lead singer. Yes, it hits all the predictable buttons including a humbling rise to stardom and a difficult fall from grace but there is something elevated in this complicated story that celebrates the healing power of music. Rami Malek deserves an Oscar nomination for his work as the daring, delicate, selfish, abrasive Freddy Mercury. A massive talent with an ego to match that includes soaring vocals and out of the box ideas when writing and performing music. It is well known that Malek fought on and off the set with director Brian Singer (X-Men, The Usual Suspects) eventually leading to Singer’s firing with two weeks left to shoot. He wasn’t the only one jousting with Singer, and the trouble behind the camera can often lead to trouble on screen. In this case, a better screenplay might have tightened “Bohemian Rhapsody” up a bit but watching this bio pic is an undeniably thrilling experience that rocks your world for all the right reasons. The final Wembley stadium concert for “Live Aid” is a simply stunning. I feel better informed about the life and times of “Queen” after seeing “Bohemian Rhapsody” and re-embracing their music. It was significant then and remains significant now. 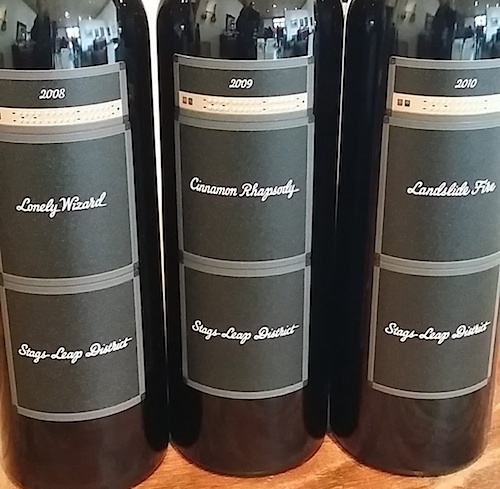 Founded in 2002 by Canadian developer Cliff Lede with 60 acres in the Stags Leap district of Napa Valley, bringing renowned viticulturist, David Abreu, on board to replant and farm the vineyards. 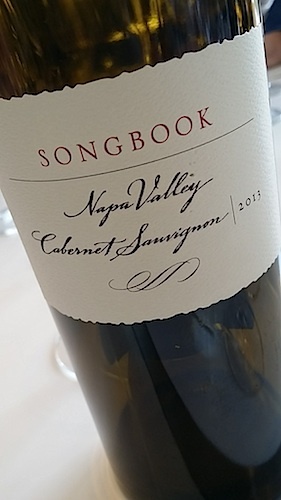 Traditionally, vineyards are mapped in various blocks using easy methods, like naming them block 1, block 2, block 3. However, Lede, an avid fan of music from the 60s and 70s, decided that the easiest way to keep track of the many blocks of plantings, each very specific to the soil type and exposure, was to name them after his favorite rock songs and albums. Cliff Lede Vineyards has 46 different blocks of plantings across the 60 acres, known as “Rock Blocks,” including Bohemian Rhapsody. A number of years ago for Premier Napa Valley, a trade event to help the Napa Valley Vintners meet the needs of workers and families throughout Napa, Lede created their Bohemian Rhapsody/Sympathy for the Devil – Bohemian Devil Rock Block blend raising $38,000 for the NVV at the 2008 event, melding valley floor (Bohemian, right by the winery on the Yountville Crossover road) and hillside fruit, (with Devil lying on the steep Stags Leap hillside right off the Silverado Trail, right below Lede’s Poetry Inn.) In 2009 Cliff Lede Rock Blocks married Cinnamon Girl with Bohemian Rhopsody, for Cinnamon Rhapsody.